Advanced features are encoded by means of modified PSSM and k-space. 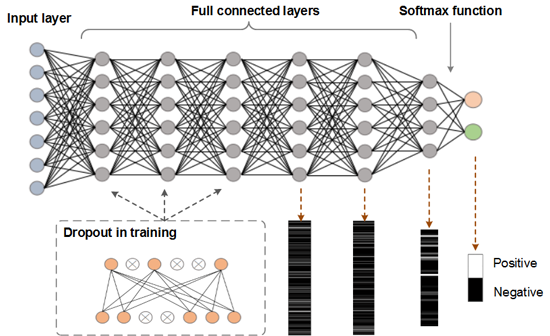 Deep neural network is utilized to extract high dimension information. 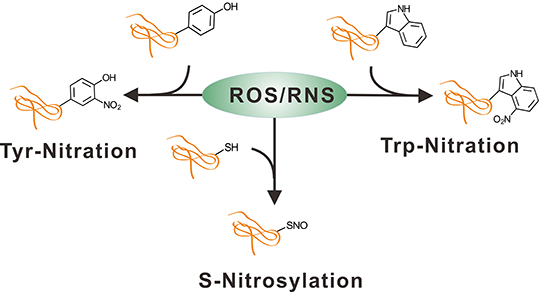 Model of DeepNitro performs effective in training and predictingTyr-Nitration, Trp-Nitration and S-Nitrosylation. Model of DeepNitro is constructed by a network with seven full connected layers. This model is assembled with dropout layers in training and regularization to avoid overfitting. Softmax function is implemented in the classification layer. 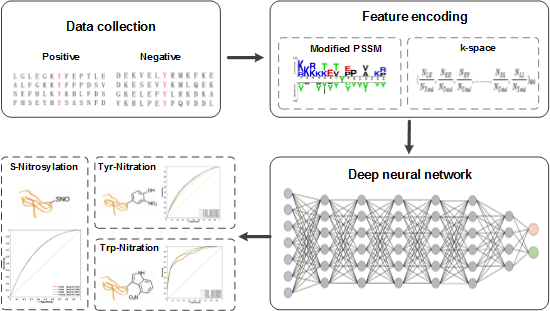 To assist further analysis, DeepNitro implements an automatic pipeline for visualizing the prediction results. 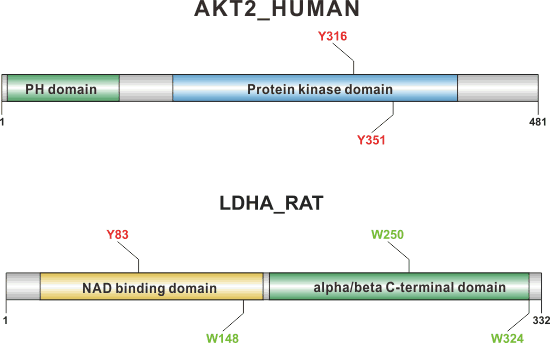 DeepNitro can present the graphical representation of the inputted proteins together with their predicted sites and domain organization in the visualization panel.